Linéaire Designs was charged with designing and executing a full build-out of the printing company Imagenet’s Miami Headquarters. 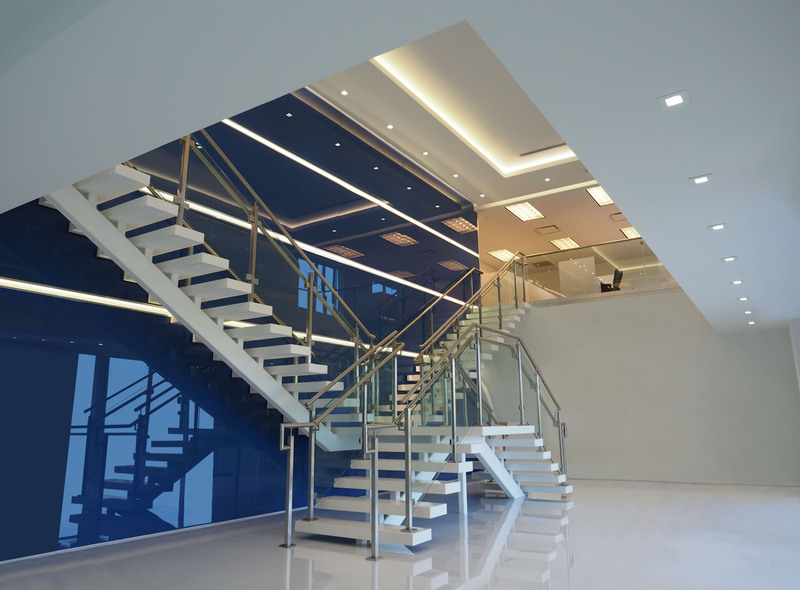 Inspired by the distinctive blue of the company’s brand, matching glass panels were installed as the backdrop to two white marble staircases that lead directly to the company’s offices and showroom. The showroom features a 60-foot long lamp that shows the evolution of the printing press, complete with images of Johannes Gutenberg. 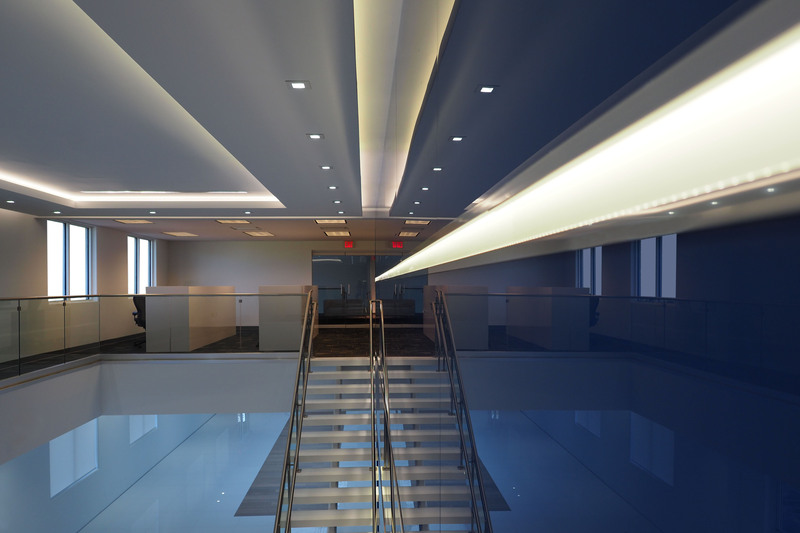 Respecting the nature of the space and required functionality for this office environment, while staying true to the company’s vision and history, drove this project from start to finish.